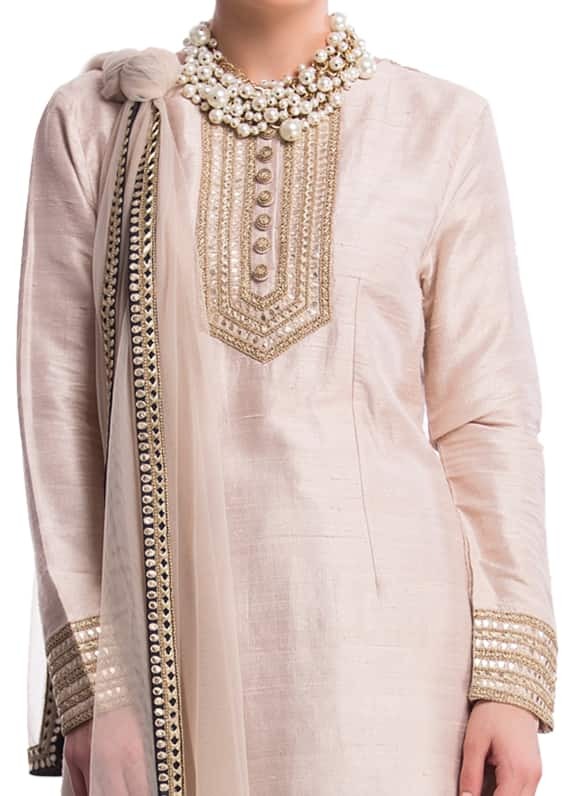 This set features a knee length, dupion silk ivory kurta which sports embroidery on the neckline and sleeves. It is paired with a black salwar with a booti design. Finished with an ivory net dupatta with a black border. This dressy Payal Singhal salwar kameez is perfect for a day wedding or an evening party. 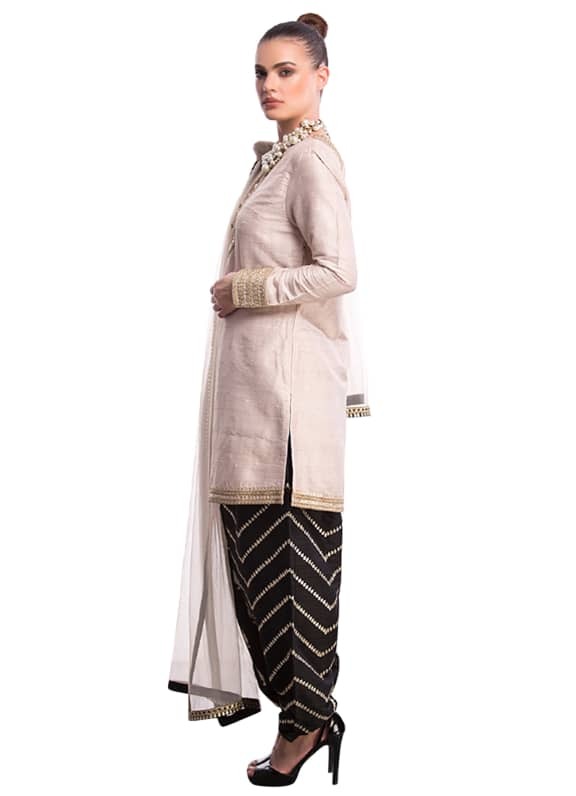 The ivory knee length kurta paired with a black salwar and an ivory dupatta is perfect for a puja or a pre-wedding function. Add a pair of statement earrings to complete the look.